Cory Monteith died from a lethal combination of heroin and alcohol, it has been revealed. The Glee actor, who was found dead in his hotel room on Saturday at the age of 31, died from a ‘mixed drug toxicity, involving heroin and alcohol,’ according to authorities. It follows claims the star led a ‘double life’ as a hard-worker when in Los Angeles, and a substance-abuser whenever he would return to his native Canada. It was noted that at this stage there is still no evidence to suggest that Mr. Monteith’s death was ‘anything other than a tragic accident’. It was also confirmed that Monteith’s family have been made aware of the circumstances surrounding the death. Monteith, who checked into rehab in March, managed to stay clean while on the Glee set, but his resolve to stay sober weakened whenever he visited Vancouver, a source told TMZ. 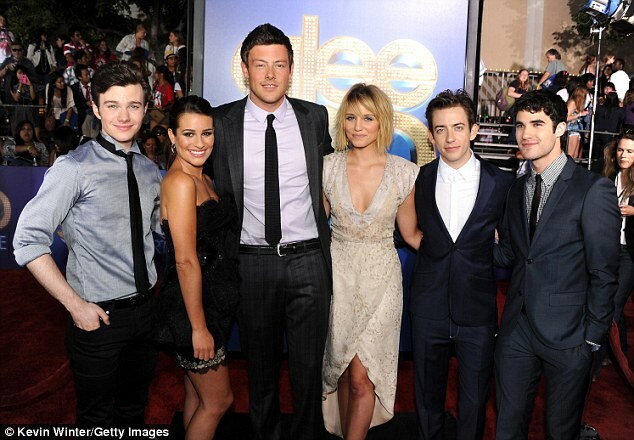 According to sources, Monteith’s girlfriend and Glee costar Lea Michele, along with the rest of the hit television show’s cast, were aware of his addiction problems and worked hard to keep him clean and sober. Monteith allegedly returned to his hometown of Vancouver often, and surrounded himself with friends who fueled his addiction.